Energy 5.0’s principals played a major role as either project manager or responsible executive in development, power sales negotiation, site acquisition, facility design, permitting, structuring and negotiating project financing, construction contracting, construction management, startup, operation and maintenance of the following power projects. The principals were then employed by the Oxbow Group of companies. 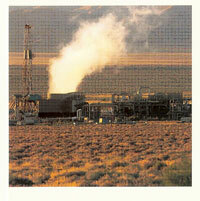 Developed and operated for Oxbow Geothermal Corporation, this 56 MW (net) power plant located near Fallon, NV generates power from steam produced by the Dixie Valley geothermal field and delivers energy to Southern California Edison via the 214 mile long, 230 kV Dixie Valley Transmission System. This transmission system constructed as part of this project represents the longest privately developed high voltage grid segment in the country. 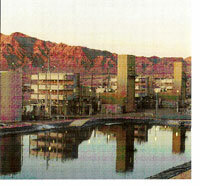 The Dixie Valley integrated power complex commenced energy deliveries in 1988 and has a long and continuously successful operating history. The project was financed with a combination of owner sponsored equity and debt provided by a syndicate of banks led by Citibank and later refinanced by Prudential Power Funding. Initial project cost was $170 million. 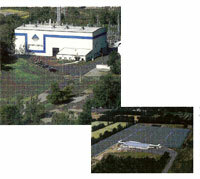 Developed and operated for Oxbow Power of North Tonawanda, NY, Inc., this 55 (net) MW combined cycle, dual–fuel power generation facility and co-developed 12.5 acre commercial greenhouse commenced delivery of electric energy to Niagara Mohawk Power Corporation in 1993 and continues a remarkable history of reliability. The North Tonawanda Project was financed with $6 MM in equity and $82 MM in debt provided by a syndicate of banks led by Citibank. The banks also supplied letters of credit securing the operators contract obligations. Developed and operated for the Philippine National Oil Company – Energy Development Corporation and owned by the Mindanao I Geothermal Partnership, a 50/50 joint venture between Oxbow Mindanao I Partners and the Marubeni Corporation, this 50.5 MW single flash geothermal power plant commenced delivery of electric energy to the national Philippine grid in 1996. The M1GP was the first non-recourse project-financing syndicated exclusively with Philippine lenders using local US dollar deposits. Citibank N.A., Manila Branch was the agent, with MIGP’s initial project cost of about $50 million being financed with 25% equity and 75% debt. 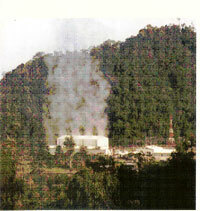 Again developed and operated for the Philippine National Oil Company – Energy Development Corporation and owned by the Mindanao II Geothermal Partnership, similar to MIGP, a 50/50 joint venture between Oxbow Mindanao II Partners and the Marubeni Corporation, this 48.25 MW dual flash geothermal power plant commenced delivery of electric energy to the national Philippine grid in 1999. M2GP was financed with equity and a $38.3 MM term loan arranged by Citibank N.A., Manila Branch and syndicated with a group of Phillipine Banks. The approximate $50 million project cost was financed 25% equity and 75% debt. 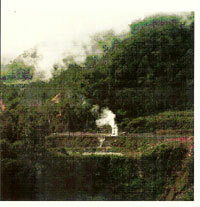 Developed and operated for a limited liability company owned by Oxbow, Marubeni and a Costa Rican private citizen this single flash geothermal power plant commenced commercial operation in 2000 and delivers 27.5 MW of capacity and energy to Instituto Costarricense de Electricidad. The Miravalles III Project was financed with equity and a non-recourse loan with the Inter-American Development Bank in an A-loan / B-loan structure. The loan consisted of $16.5 MM construction plus 13 year term A-loan and a $33 MM construction plus 11 year term B-loan. The B-loan commercial lenders were Fuji Bank, Dresdner Bank and Dexia Group. This 2x350 MW coal- fired project was developed by a joint venture which included Oxbow Power, Sithe Energy, Zhejiang Provincial Power Bureau and Wenzhou City. The development was led by the Oxbow and Sithe partners; the facility was constructed by the Zhejiang Power Bureau and completed in 1999. The facility enjoys a high capacity factor and is considered one of the very successful international joint venture projects built in PRC. The initial project cost was approximately $ 415 million. 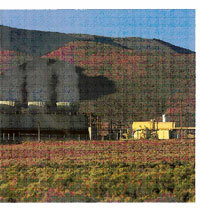 This 17 MW dual-flash geothermal power plant, built in 1990, acquired in 1994 and operated by Oxbow Power for a 50/50 partnership with Edison Mission Energy, delivers energy from its associated steamfield via a transmission wheeling agreement with Sierra Pacific Power (now NV Energy) to Southern California Edison. Facility availability exceeded 96% for the duration of management by the principals of Energy 5.0. Owned and operated by Oxbow Power for a 50/50 partnership of Oxbow Power and Edison Mission Energy, the 210 MW gas turbine peaking power plant is located on the site of the Nevada Power Company’s (now NV Energy) Sunrise Station. The facility has an outstanding record of availability. Run of river hydro (Rio General, Costa Rica).